ICELAND. Kárahnjúkar. 2007. 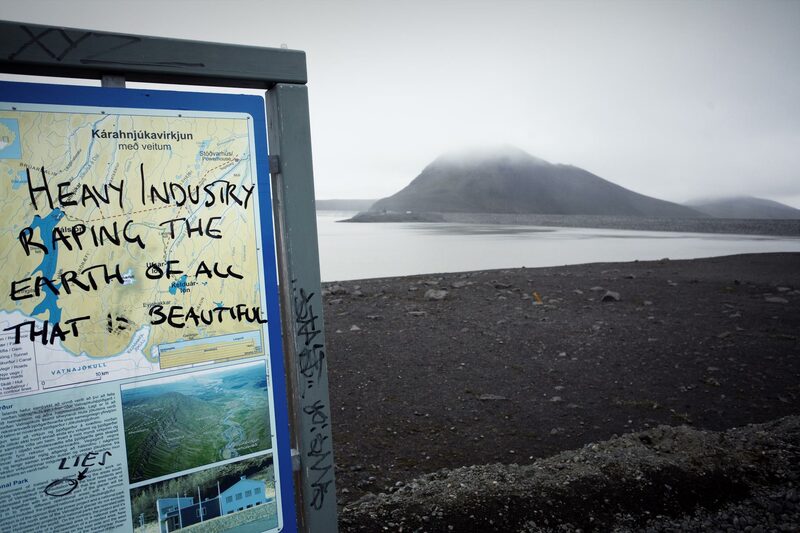 At the almost-finished Kárahnjúkar dam, the visitor's information board was covered in anti-dam and anti-industry grafitti.